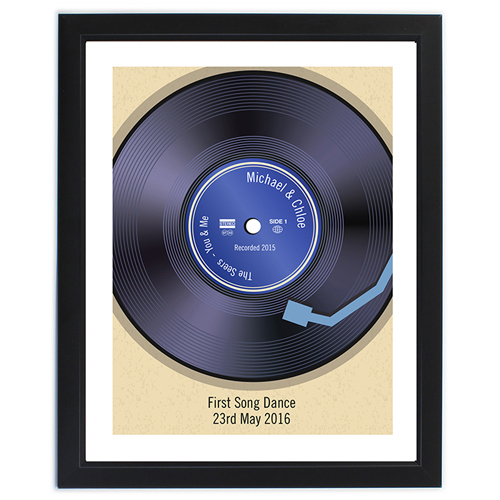 Personalise this Retro Vinyl Black Poster Frame with text up to 20 characters on line 1, 25 characters on line 2 and a further 20 characters on line 3 (all these will appear inside the record). You can then add a message over 2 lines up to 30 characters on each line (this will appear at the bottom of the frame). Lines 1 - 3 will appear in Uppercase, all other personalisation is case sensitive and will appear as entered.